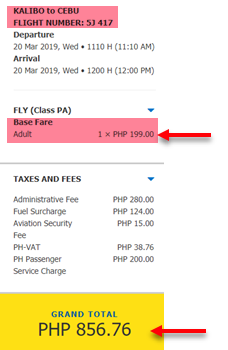 Get as low as P199 base fare promo via the new Cebu Pacific seat sale 2019! 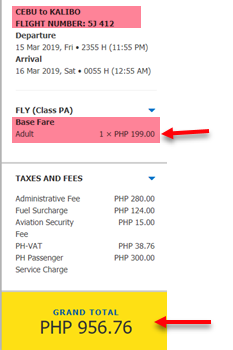 Quoted ticket rates are base fare only and do not include Web Admin Fee, taxes, Fuel Surcharge and Airport Terminal Fee. Featured trips on this promo are domestic flights from Cebu to various places in Luzon, Visayas Mindanao. Base fare promo starts at P199 base fare or P956.76 total fare. 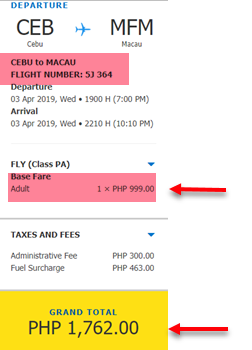 Cebu Pacific international sale tickets are as low as P999 base fare for trips to Macau or P1,762.00 total fare. Cebu Pacific promo fare tickets cover only 7 kilos hand carry baggage and do not include checked baggage allowance. Book online at the airline website: www.cebupacificair.com where you don’t need a promo code in booking. No credit or debit card? You may still book promo fares and pay in cash. Check How to Pay in Cash. 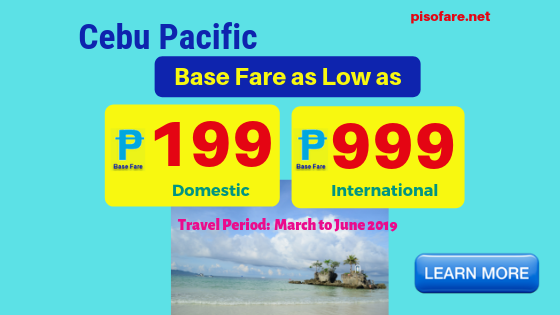 Buy the low fare at Cebu Pacific sales offices in the various cities/ towns in the Philippines. Purchase Cebu Pacific promo fares via accredited travel agents or ticket booking offices. 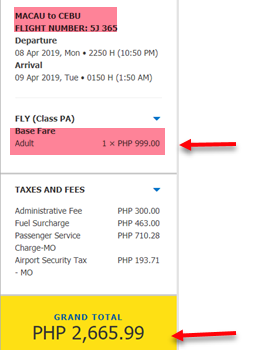 Call Cebu Pacific Reservation Hotline and book with their Customer Service Reps.
Those who want to travel to or from Cebu, this is your chance to book promo fares. Promo travel period is until June 2019 thus, summer trips are included. Book the affordable fares now and have a fantastic summer getaway! Like and follow us in Facebook: PISO FARE TICKET to receive notification on the latest promos and seat sale of Cebu Pacific, PAL or Air Asia!